After the last couple of warm days and their accompanying easterly winds I have eased off on the watering in parts of the garden to allow some of the plants to dry out so we can harvest their seeds. This evening after the days celebratory activities there was just enough time to get into the garden and harvest some of the beans, tomatoes and lettuce. Plus cover up the one decent sunflower head that made it through the last few months so that the Red-capped Parrots don’t polish it all off in the early hours of the morning. We have been calling upon the mains water to deliver water to parts of the garden this summer which is not a practice I like to do too often and over the last five years of living here is something we’ve really only done sporadically. This summer we’ve watered with mains more regularly and the results are much the same as other summers still. The summer conditions still dry out large areas of the garden. The more resilient areas being those where there has been a good covering of wood-chips and mulch previously and/or some serious compost areas. The chickens are doing well and have been supplying a regular egg or two a day on average. Enough to get us by with the odd carton purchased from friends here and there. The build up of vegetative matter from garden pruning and kitchen scraps is now due for gathering up and forming into another large compost heap ready for autumn plantings. Large areas of the garden are now ready for clearing up and re-planting which seems rather early in the year compared to previous years when I’ve had tomato plants still in full swing. I missed that pleasure this year as I relied more on seedlings that came up in the garden as time really was not on my side with the regular routine of seeding which I do around August and September. 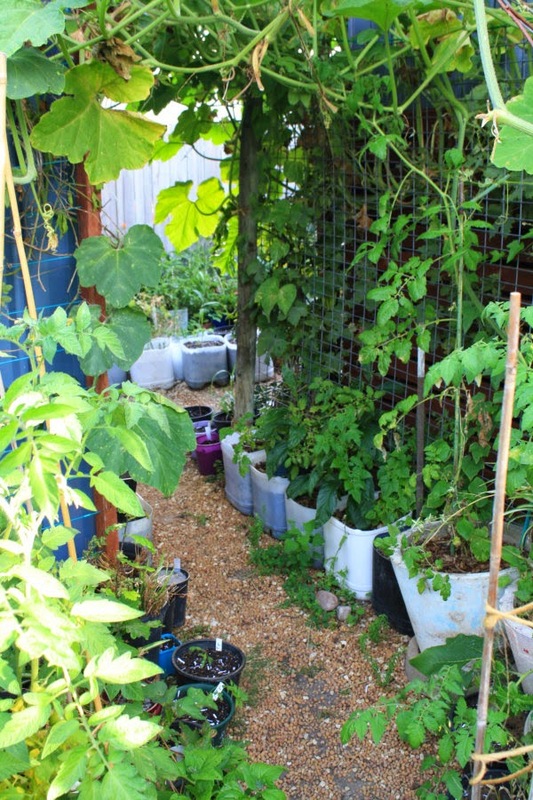 This summer I have really had to let the garden take charge of itself and simply keep the water up to it and train any stray tendrils or vines along the string or rope or cane that I have managed to put in place to guide them. Scattered around the place are seedlings for various trees that I have started over the last few months in order to plant them out at the new garden when we move. I’ve had great success with wattle seeds from the trees at the back fence which I collected late last year. These will be grown and planted out and will be sacrificial trees that will be cut and mulched once they have done their job of establishing the garden soil. Our fish have steadily died off since last winter it seems. Nearly all of our goldfish are gone now leaving only the Koi which seems a little odd. On Christmas Eve we got a bunch of yabbies for the table and we released a few into the pond to see how they would go as the marron we had did really well previously. They don’t appear to be harassing the Koi at all and are more than likely doing a fine job of cleaning things up on the bottom. I’ve read through your blog articles and I enjoy your gardening adventure stories. 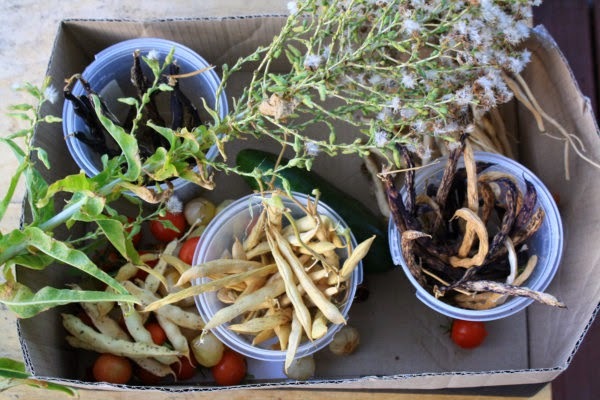 I envy your skills to create a self-sustaining garden. I always dreamed of doing the same thing in my backyard but always seem to end up failing. Anyway, do you have any articles or tips on how to replant vegetables into a garden bed? I have bought all supplies needed to do this and even placed tree guards to protect my plants but they always end up dying. Thanks in advance.